One of the greatest feature of a Nendoroid is its ability to swap parts with each other. Yes, most Nendoroid parts are interchangeable between Nendoroids, so you can simply mix-match the parts to either create a yet-to-be-released character or even create a new one! 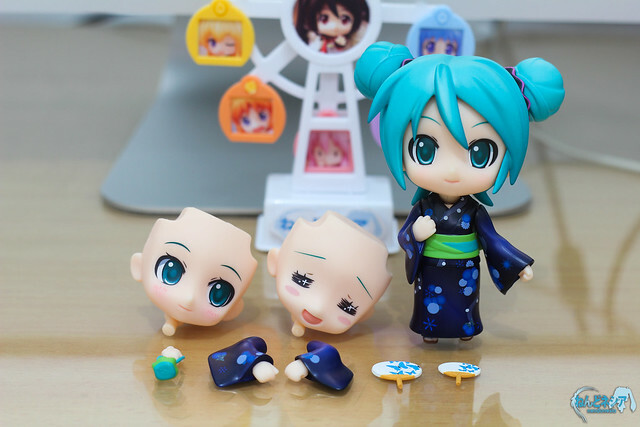 That said, when you have Nendoroids that have been stored for a long time, you have to be very careful when you detach their parts because they could break easily – especially the joints on old Nendoroids. So are there any way to minimize the risk? Use something like a hairdryer to warm up the parts before attempting to detach them. Make sure that you don’t put the hairdryer too close – it might cause the parts to melt down. As for me, I usually put a small damp cloth into a bowl of warm water and I use that cloth to wipe the Nendoroid parts to be detached. The main idea is the same – we have to warm up the parts so that they are not too stiff when we attempt to detach them. Don’t warm it too much though, as you could melt the parts instead. This entry was posted in Tips and tagged maintenance, nendoroid. Thanks for the Tips 😀 It’s useful! WASHINGTONÂ â The time for a turnaround is tightening.